Click here to view our 2017 catalog! We have also posted our 2017 Plant List in both PDF and Excel formats. Please note - We accept wholesale orders only. Thank you! Please order 2 quart sized in quantities of 8!! No minimum on gallon sizes!! Welcome to Fairfax Perennial Farm inc.!! As we move into our ninth season Dana and I would like to thank you our customers - thank you for your loyalty and support - thank you for your commitment - thank you for helping us grow! To be a leading wholesale perennial grower, to produce a wide variety of quality, hardy grown plants and most importantly to provide reliable service to all our valued customers. Our inventory will be growing throughout the season so please let us know if there is something we can grow for you! Please feel free to contact us so that we can meet you and discuss any special needs. We are conveniently located just off exits 18 and 19 and deliver throughout most of the state. Discounts are based on a committed total order from a customer, or will be applied to orders as accumulated through out the season, but are only given on accounts paid within 30 days from invoice date. All accounts not paid within 30 days - listed prices apply. Customers who pick up their own orders (and are in good standing) will receive a 5% discount. Quantity discounts, buyer pickup, and paying cash not to exceed 15% of order. Customers with established credit will be on Net 30 terms. Customers with no established credit will be cash terms. Overdue invoices will be charged 2% interest, and the account reverts to COD! 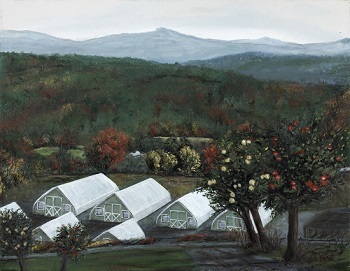 Fairfax Perennial Farm inc. reserves the right to revoke credit at any time. 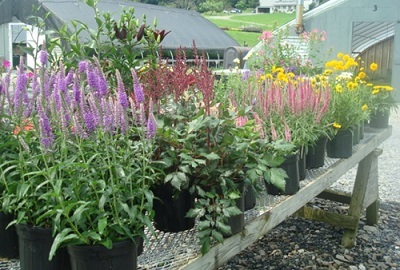 Fairfax Perennial Farm inc., will not be liable for any sum greater than the original cost of plants, no credits given after 10 days from delivery date. Prices may need to be adjusted or changed at any time.